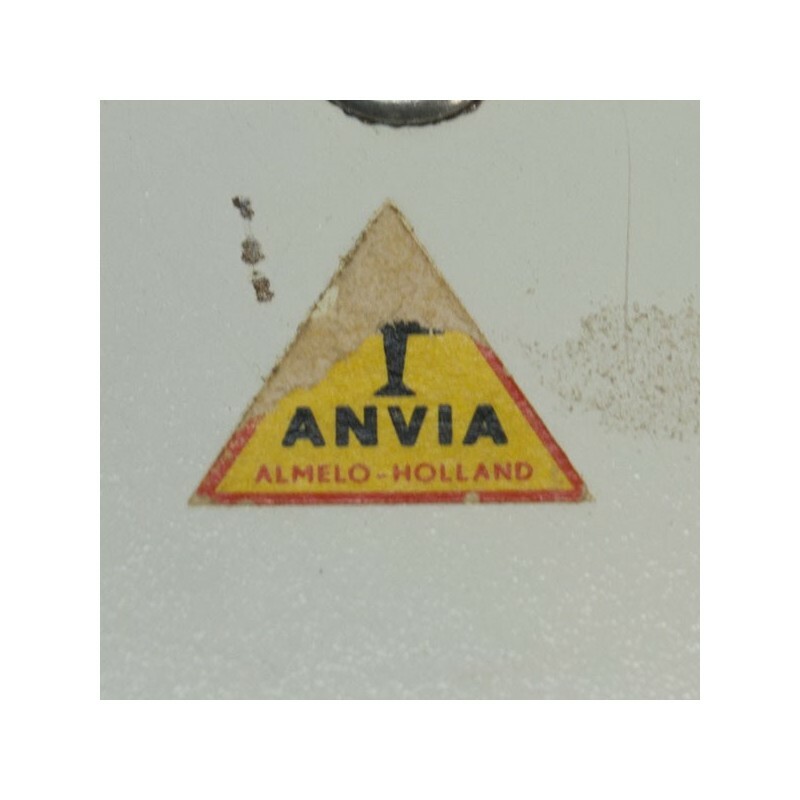 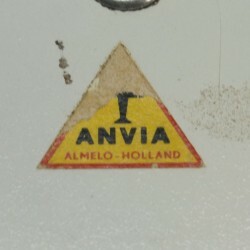 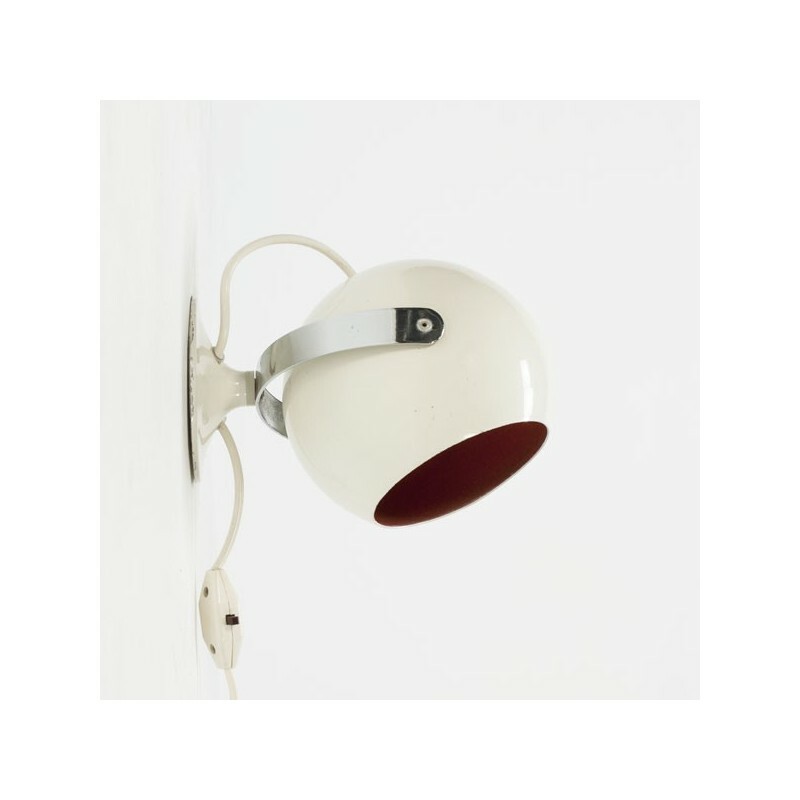 Original wall lamp from the Dutch brand Anvia (marked). 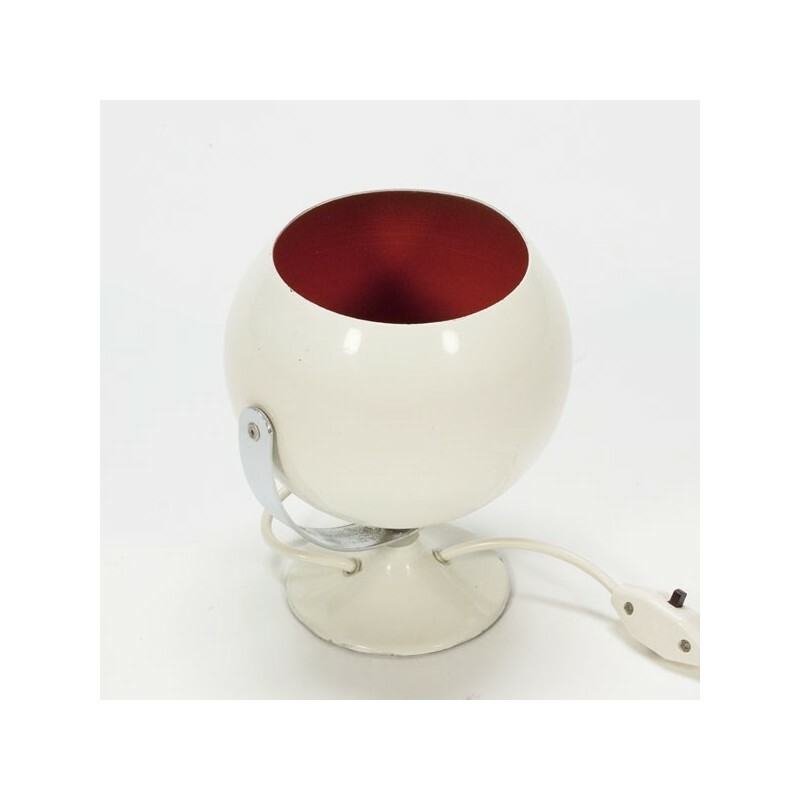 The lamp is white on the outside and orange on the inside. 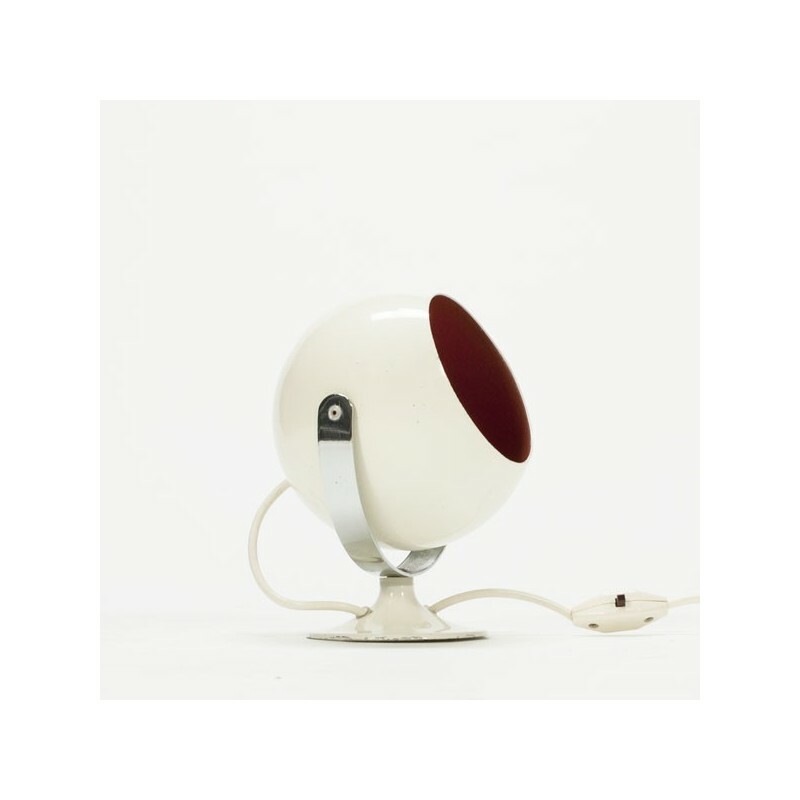 The lamp is in fairly good condition, but there are visible signs of wear and the lamp has a small dent. 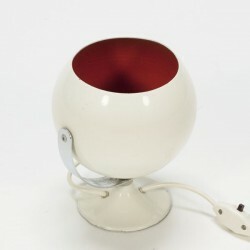 The dimension is 20 cm H / 15 cm in diameter.